Each of my walking leads is a hand-crafted (by me) original. Every one is different, every one is unique. Each of my walking leads is a hand-crafted original piece. If you need a different size or matching leads, please contact me. I can usually accommodate special requests. I have hundreds of pieces of fabric and trims, but quantities on each are very small. That means that all of my leads are very limited editions, and most are one-of-a kind. How are they made, and how are they used? 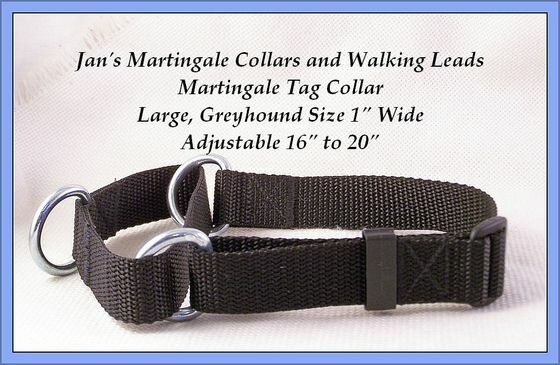 A walking lead is a collar leash combination used for walking. 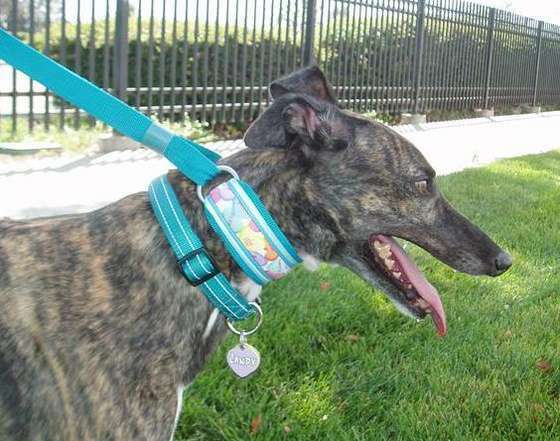 My leads are designed primarily to fit sighthounds (who can easily back out of a regular collar and leash), but also work well on other breeds of dogs. The collar section slips over your dog’s head and the small plastic ring on the leash slides up or down to adjust for a snug fit. When the slide is snugged down, the rings should not touch. There should be space between them. 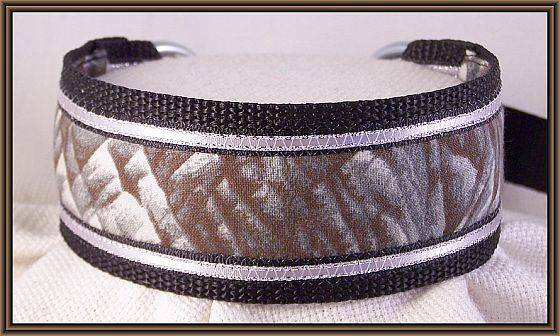 The collar section is padded with a polyester fleece covered in cotton fabric. 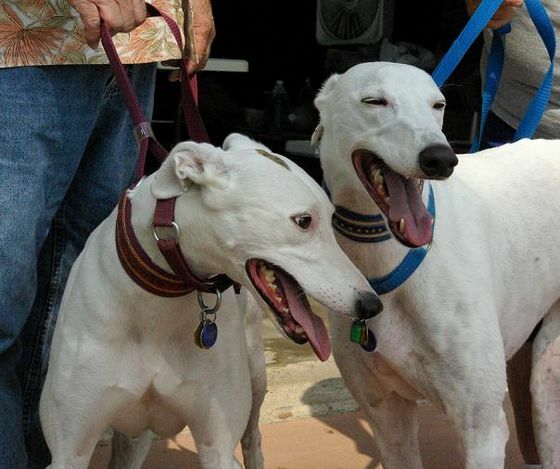 Each size, Greyhound (large), Whippet (medium) and Italian Greyhound (small) is constructed with different weights and sizes of webbing and hardware. Please check each category for more construction details. My Walking Leads are quick and convenient for you- safe, comfortable and great looking for your dog. Hang it by the door. Slip it on your pup and step out in style! Since each offering is one-of-a-kind, the selection will vary. Please bookmark my site and check back often. All of my leads are currently loaded into my Indiemade shop.